GNUSTEP - Everything is so ... square and gray. GNUSTEP (this is a live CD based on an operating system, also known as a distribution) contains a lot of software for GNUstep, a free implementation of the OPENSTEP and Cocoa framework (which was also the base as Cocoa on macOS). It includes an excellent application called Gorm for RAD (Apple Software Design Guidelines). More about the Objective-C Language. The currently used window manager is Window Maker. 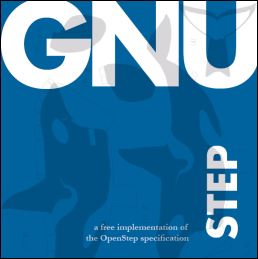 Read this very informative article about what GNUstep is. If you are an OPENSTEP, Cocoa developer and want to port your software to GNUstep and release it as Free Software, contact me. More what is questions answered. Still not impressed, read this? Read great documentation. Hopefully soon with a microkernel and a more usable approach to OS design. 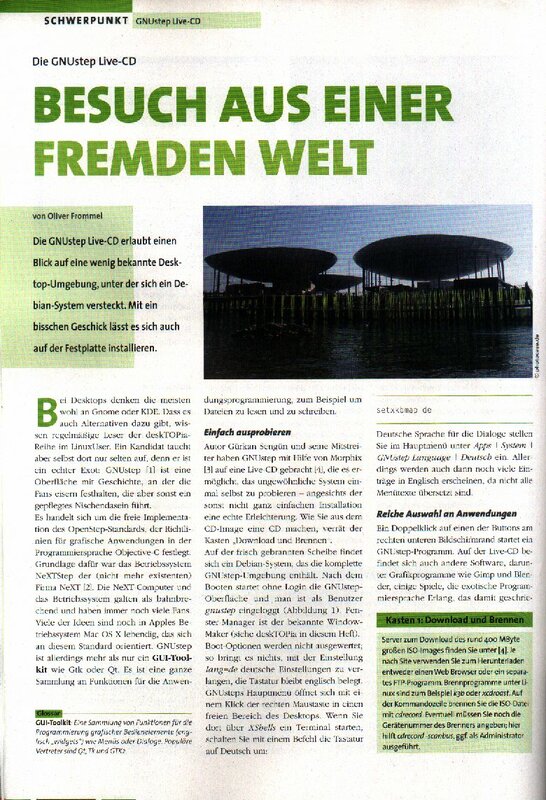 History about the Lighthouse Design Ltd.. List of all packages on the CD. took 100+ senior programmers and trained them on NeXTstep, then asked them to write the same app on both NeXT and their previous system. First application written was written two to five times faster. It isn't faster to code on NeXTstep; you just have to write less of it. The revolution is "getting rid of software". 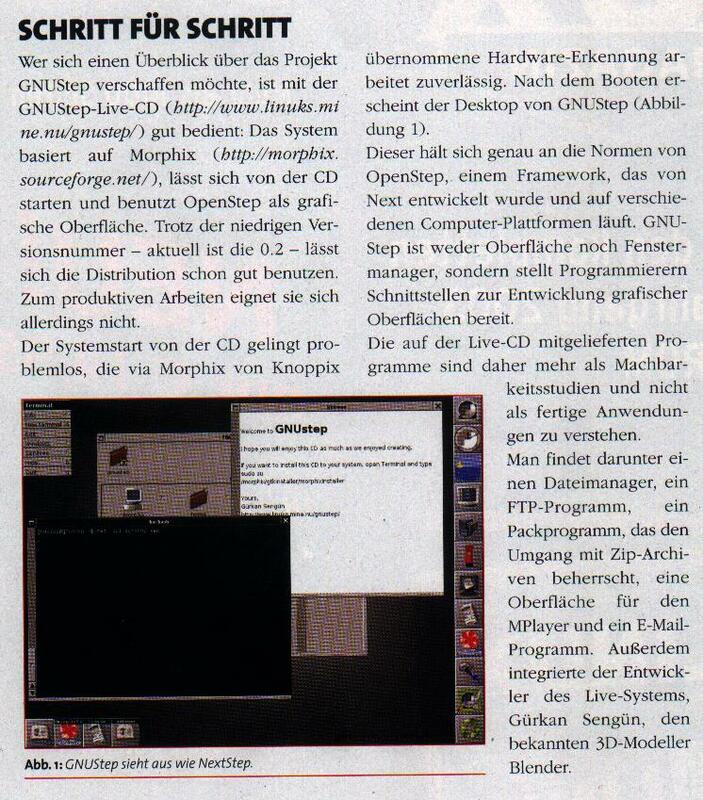 GNUstep is a free software implementation of the OpenStep specification (NeXT/SUN, 1994). Please report bugs to me if they are related to this GNUSTEP CD. Otherwise use the bug reporting facility of the appropriate project, which would either be Debian, GNUstep, or FreeBSD. After you downloaded the image check the integrity using this command sha256sum GNUSTEP-amd64-2.5.iso. If it matches the checksum in GNUSTEP-amd64-2.5.sha256.txt proceed with burning it. Here is an example command to burn it wodim -v speed=8 -dao -data GNUSTEP-amd64-2.5.1.iso. Here is an example command to write it dd if=GNUSTEP-i686-2.0.img of=/dev/yourusbstick. They have a section for GNUstep. There was a lot of software. Here are a few screenshots of OPENSTEP applications. 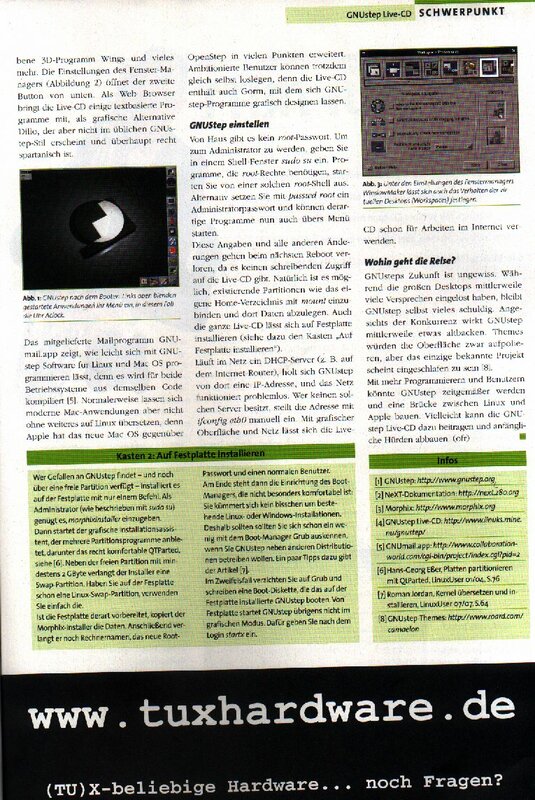 SUN Microsystems bought the Lighthouse Design Applications who made some great office software. Help free old (read mature) and excellent commercial OPENSTEP software from the vaults of SUN.COM. You should talk to Curtis Sasaki. I wish you'll have success, there was this petition. SUN's statement. Politics at SUN were kinda a step backwards for OPENSTEP but GNUstep is coming. SUN and Java failed because it is bad technology, OPENSTEP failed because managers failed at SUN. IBM has Lotus Improv. The software on this CD as well as the whole content is Free Software. This policy is firm and if you find anything on the CD that is non-free, please contact me. I will then promptly remove it.